We were excited to start a new teens yoga class in January and now have 12 members. 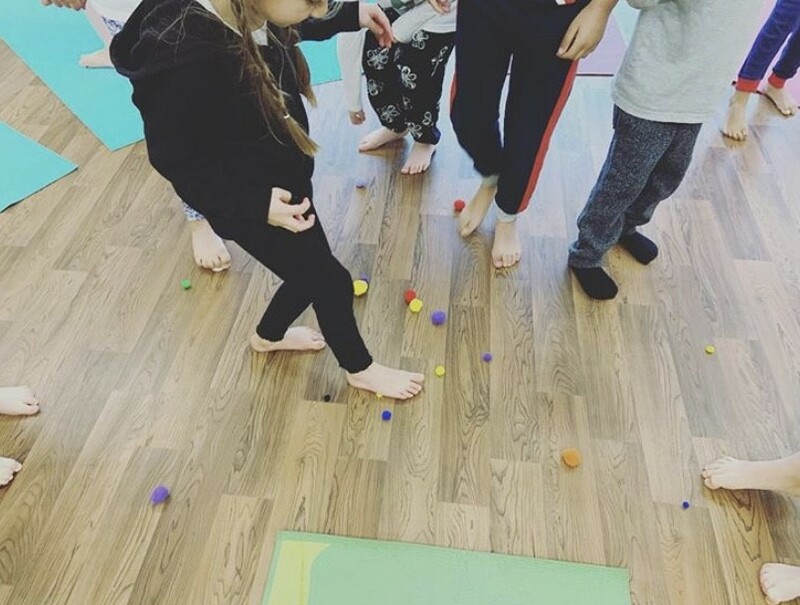 It is great to challenge the older children with more complex yoga poses and games. They have particularly enjoyed yoga BINGO this term! 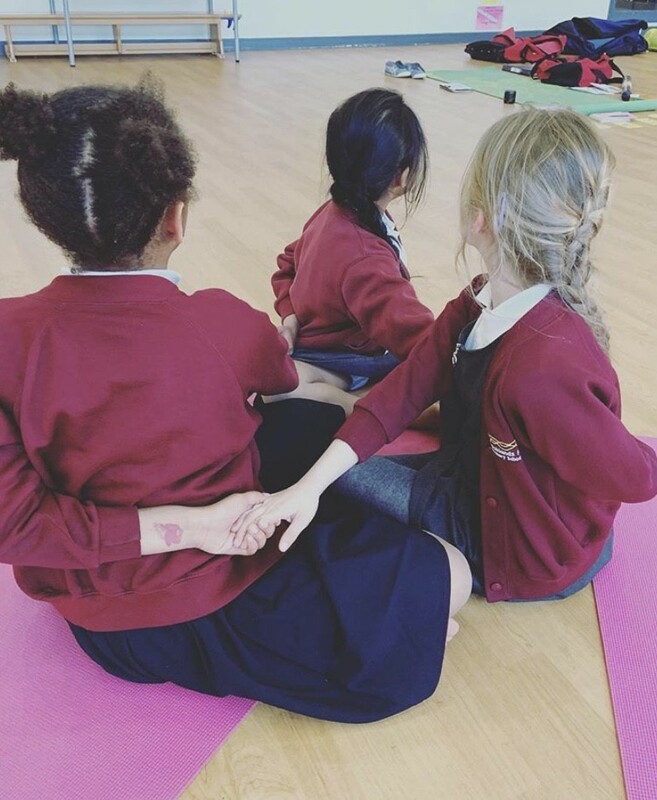 We have also been challenging the children to bend, stretch, twist and create new partner and group yoga poses! The children loved our pancake themed yoga class which fell on Shrove Tuesday. We really enjoyed mindful eating with pancakes and had some great discussions about what mindfulness means, the importance of it and how it can become part of everyday life, like at meal times. Continuing our theme of mindfulness, during our teens yoga class, we looked at how much time we spend doing different things and how balanced our lives our. We looked at each element of the ‘wheel of life’ and discussed the importance of each element. This was a really powerful exercise for the teens as some of them realised they led very busy lives and didn’t have much quiet time to themselves. Some realised they spent a large amount of time working and not enough time with family or friends. Some realised they spent most of their time on hobbies or having fun and perhaps not enough time on homework!!! We spend much time developing the fine motor skills of our fingers and hands but not so much on our feet. Introducing…. TOEGA!!! One of our favourite and hugely fun games of this term! How many pom poms can you pick up with your toes before the time runs out? 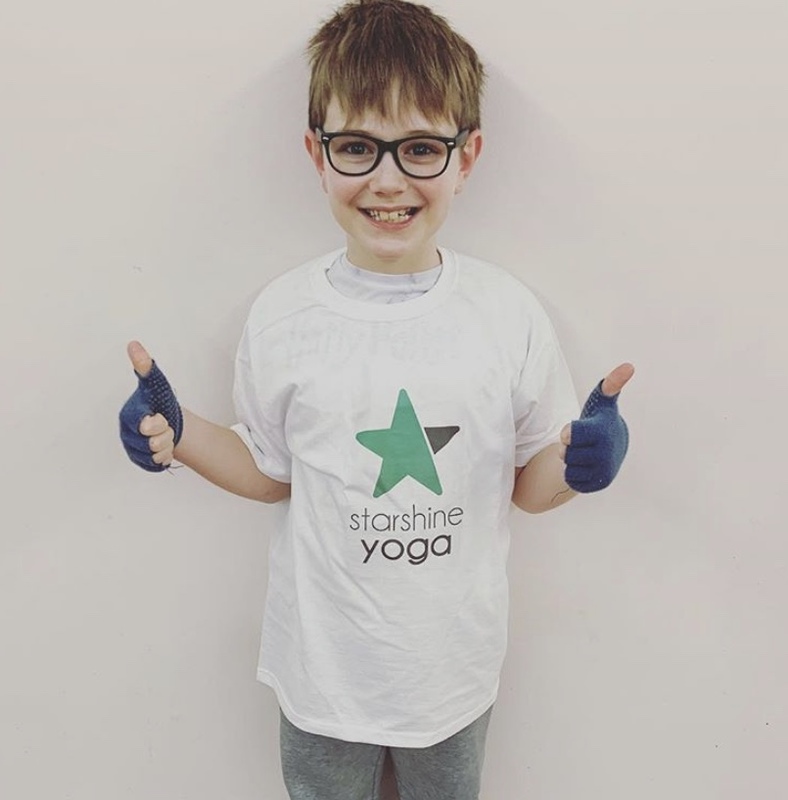 Congratulations to Keira and Flynn, who have been awarded their special Starshine Yoga t shirts having been members for over 2 years!!! In February we were delighted to introduce our new yoga teacher Alison, a keen yogi herself. 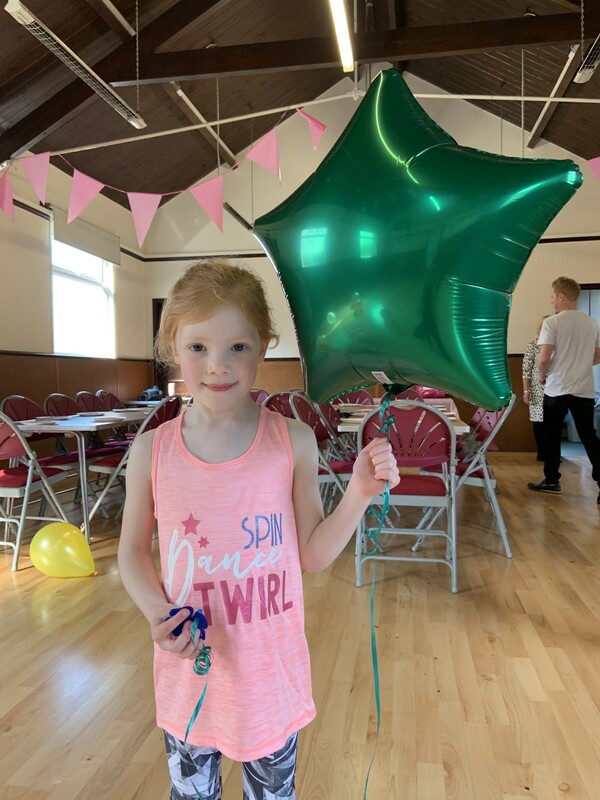 The end of March saw us host another yoga party, this time for Sophie who has just turned 6. 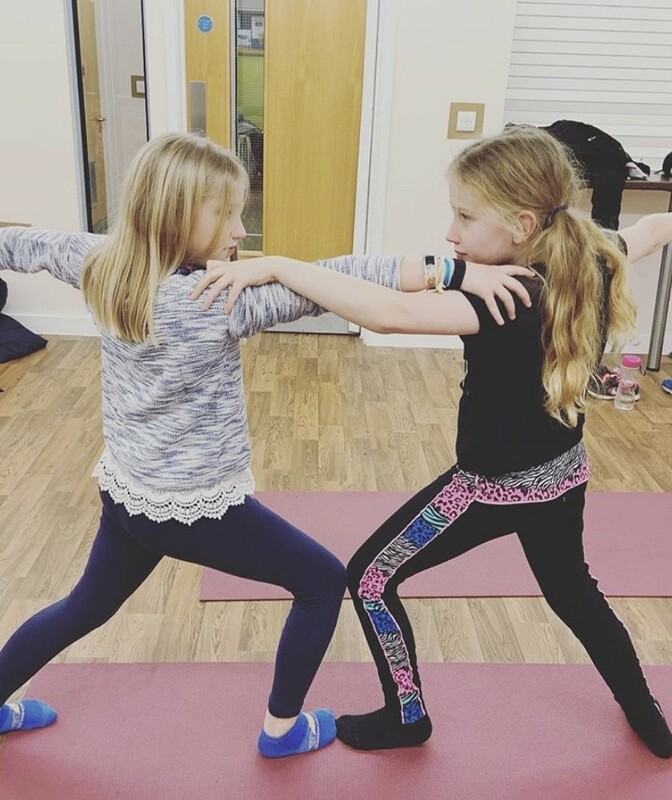 Sophie and her friends had a brilliant time learning yoga poses, joining in with parachute and hoop games and finishing with a scarf relaxation. We would like to thank all of our students and parents and carers for their continued support and wish you all a very happy and healthy Easter break! All I want for Christmas is yoga!! !